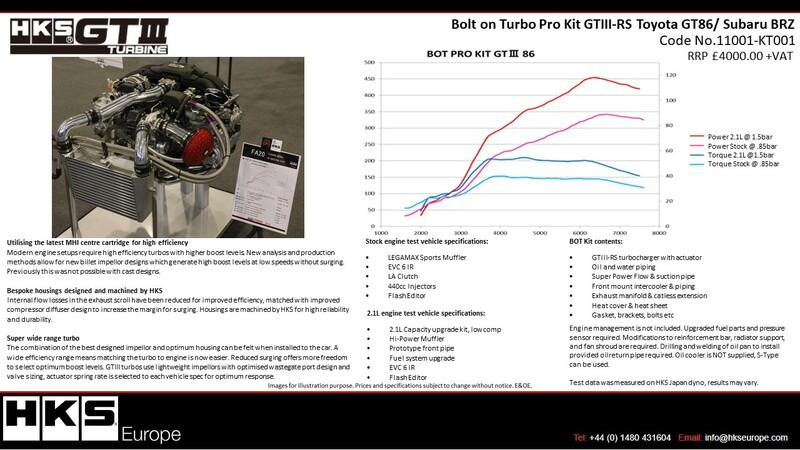 The much anticipated GT86/BRZ turbo kit is now available to order! Specifically designed for the Toyota GT86 and Subaru BRZ the kit utilises the latest turbo technology to provide a responsive yet powerful turbo set up. 450ps has been achieved on HKS Japan’s test vehicle. This entry was posted in News on 4th April 2018 by russ.